In addition to being named a Top Workplace for the seventh time, SofterWare was also ranked number one in work/life balance. 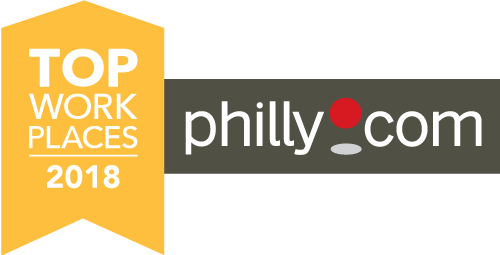 FORT WASHINGTON, PA – March 19, 2018 SofterWare, Inc.
has been awarded a 2018 Top Workplaces honor by Philly.com for the seventh time (previously winning in 2010, and 2013-2017). SofterWare Co-Founder and President Dr. Nathan Relles said, “Our success and continued growth is all due to the outstanding professionalism and dedication of our people. The Top Workplaces lists are based solely on the results of an employee feedback survey administered by Energage, a leading research firm that specializes in organizational health and workplace improvement. Several aspects of workplace culture were measured, including Alignment, Effectiveness, and Connection, just to name a few. SofterWare’s mission is to create and support products and services that reduce work for clients by being delightfully easy to use, reliable, and affordable. We are dedicated to always providing quality, value, innovation, and complete customer satisfaction through outstanding products and services. Our clients are nonprofits, private and public schools, childcare and camp organizations. SofterWare has more than 175 employees and is currently hiring. SofterWare was founded in 1981, and has grown over more than 35 years from a small entrepreneurial business to a $60 million+ company with over 10,000 nonprofit, childcare, camp, school and payment processing clients. Learn more about this survey ranking by visiting: Top Workplaces – SofterWare, Inc. Since 1981, SofterWare has been developing and supporting software that helps nonprofit organizations and educational institutions raise money, operate efficiently, and drive growth. SofterWare has grown exponentially from a small entrepreneurial business to a $60 million+ company with over 10,000 nonprofit, child care, camp, school, and payment processing clients. In 2017, SofterWare was named to the Inc. 5000 ranking of the nation’s fastest-growing private companies for the 9th consecutive year, a feat only half of one percent of all US private companies has achieved.